Here's a birthday card I made today for a client. 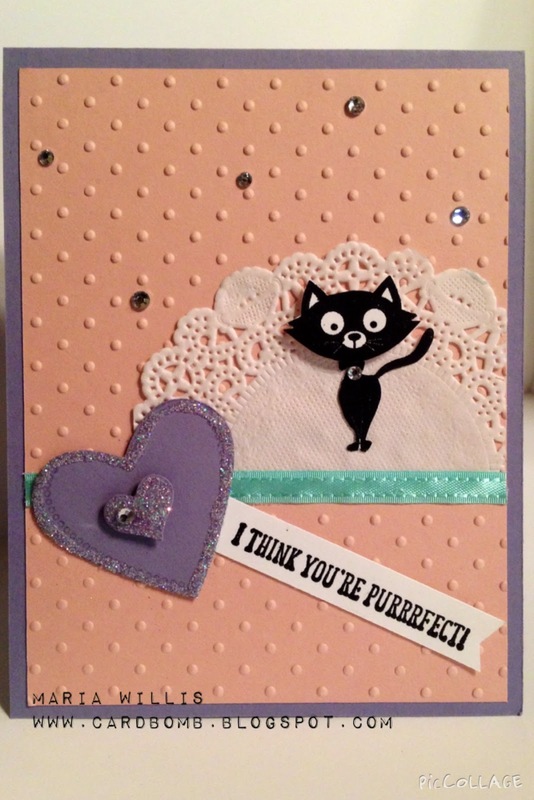 The request was for pink, lavender, lace and with a cat theme. The cats in this You Little Furball set are really fun and I can't wait to play with them again!